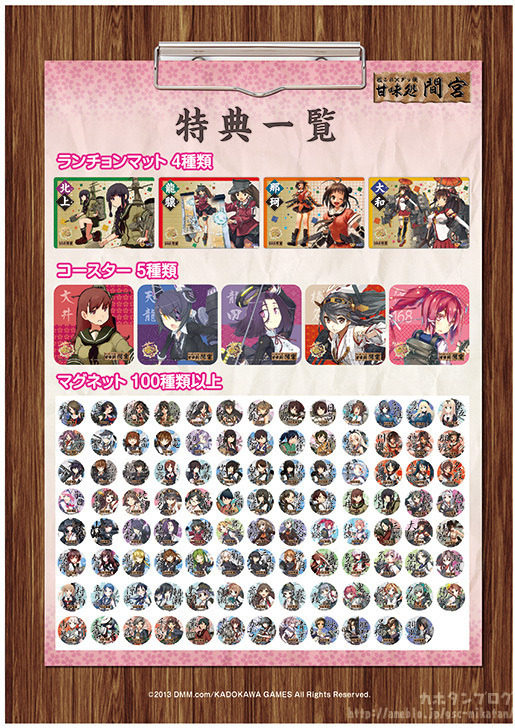 Unfortunately the typhoon also delayed the Kan Colle Café an extra day, but it will be up and ready for everyone from tomorrow, the 17th October! 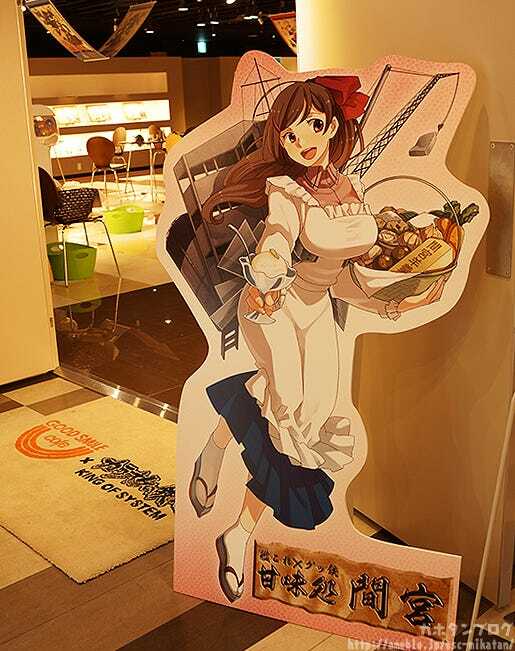 I was lucky enough to be allowed to sneak into the cafe before anyone else… first and foremost I was greeted by the cafe’s mascot, Mamiya-san! Those who visited Hobbyshow last weekend would have seen this on display there as well! 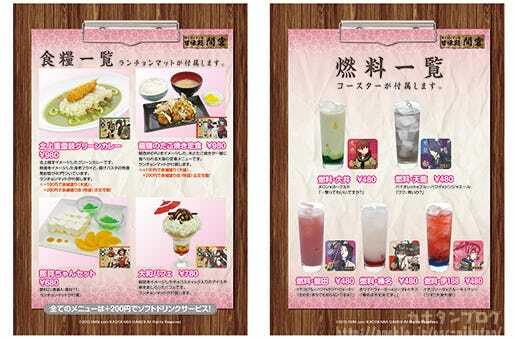 The orders of any drinks from the menu will include a coaster featuring the character that the drink is based on! Enon-shi was just about to have a final taste test of some of the food, so let’s see what he thought of it! 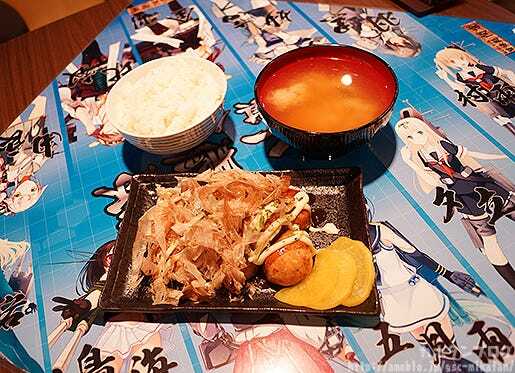 I believe the meal he ordered was the Ryuujou no Takoyaki Meal! Did you come up with the menu for the cafe? 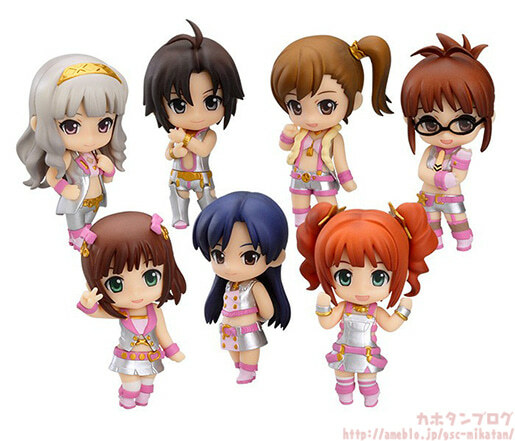 I decided to try the Naka-chan set for myself! 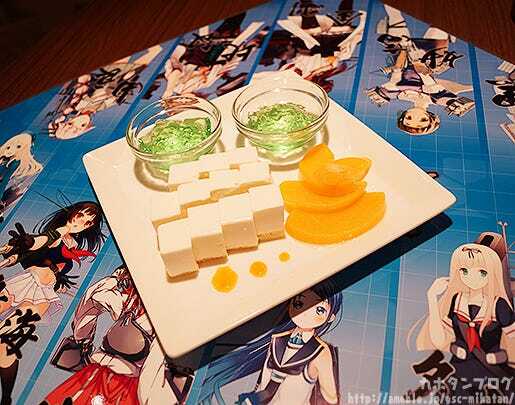 I’ve only become an admiral myself recently, but after eating this I want to get Naka-chan on my team as soon as possible! I have to!! I also bumped into Seiya-shi and Kimuraya who were trying the ‘Kitakami Jyuuraisou Green Curry’! The curry was apparently a lot spicier than expected! I decided to ask them what they liked about the cafe! Ooooh!!! This must be the most variety in the history of the cafe! These magnets can be retrieved with the special coins you’ll receive with any order! Just put the coin in one of the special capsule machines! These are great! It’s fun comparing the back and the front to see the damage! 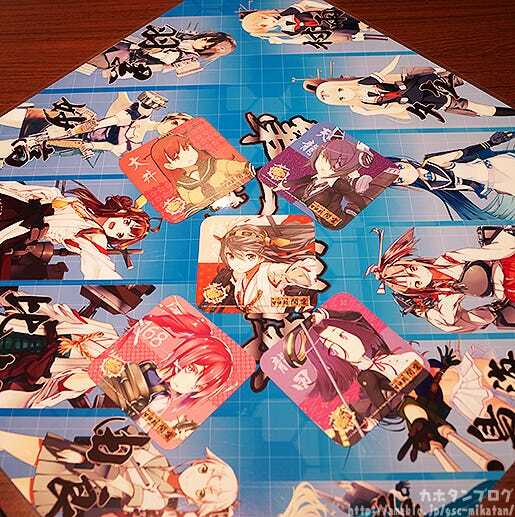 The mat even looks like the battle board! Where is my Sazanami-chan~? She is still in development and the size is still being altered, but she is definitely something any admirals can look forward to! 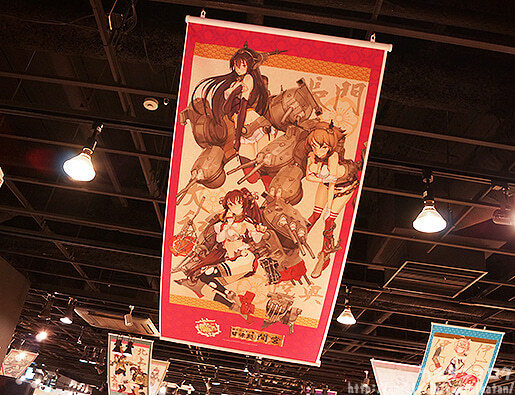 Other Kan Colle goods (by Aoshima) are also on display! I’ll show just a few of them here! 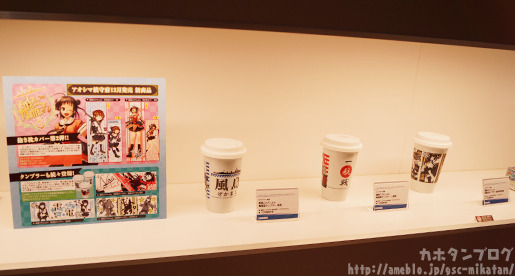 The one thing that really caught my eye were these ceramic tumblers!! 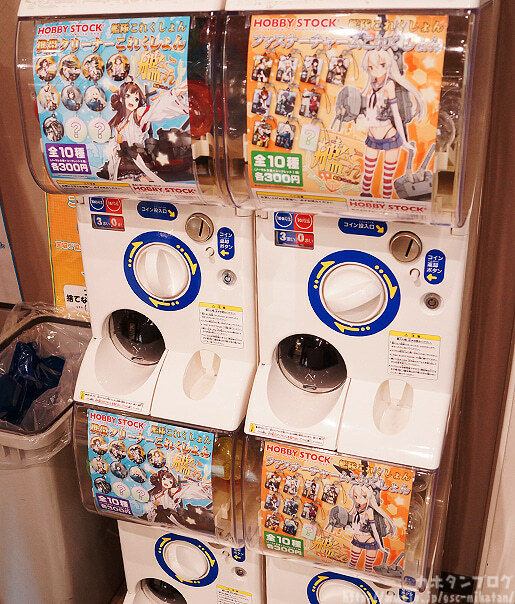 There are also some cellphone cleaner and charm capsule machines to try at the register! 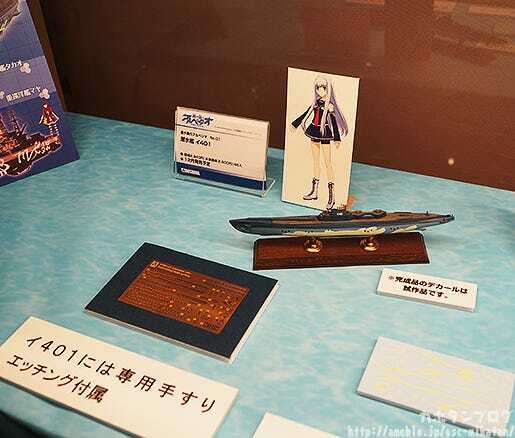 I also spotted a plastic model from Arpeggio of Blue Steel! 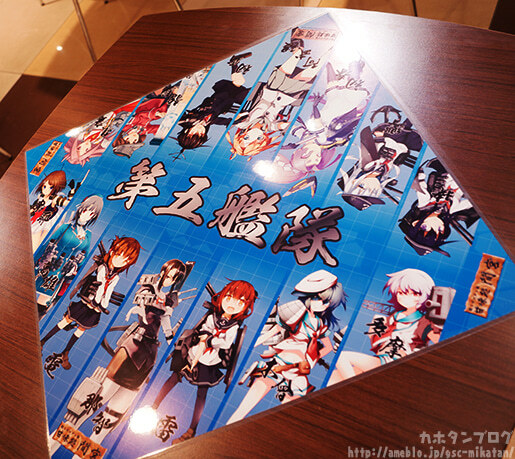 They’re not Kan Colle, but they definitely both share a naval theme so this little collaboration was created… maybe we can expect more of it in the future! 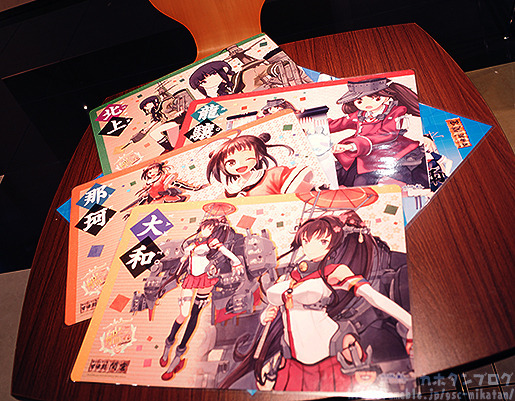 There were also various other plastic models of ships! The amount of detail on them is super impressive! 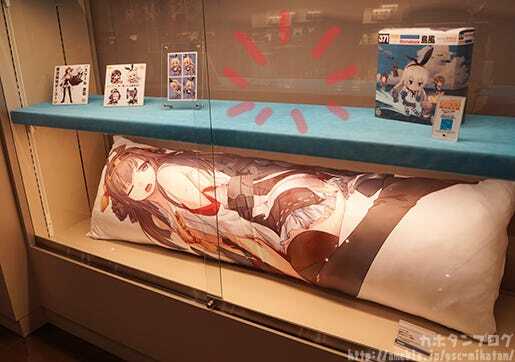 ((((；ﾟДﾟ)))))))! 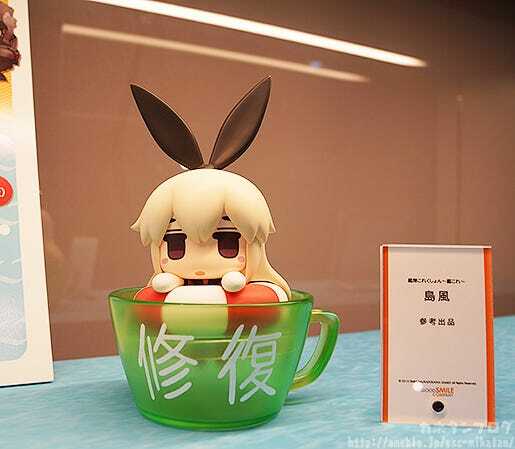 Nendoroid Shimakaze is also scheduled to be on display! 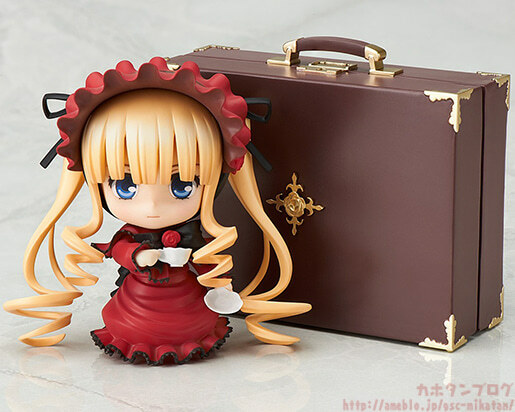 She was still on the trip home from Hobbyshow at the time of these photos! 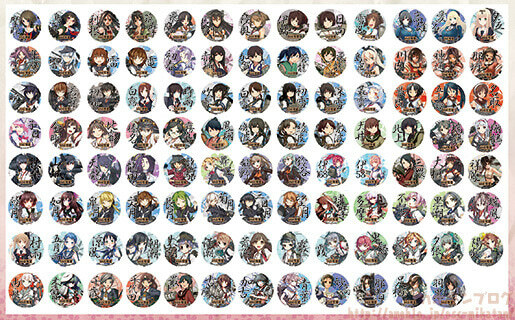 Lat but not least, a quick look at these products that can only be ordered for the next hour! All your favorite idols wearing all new outfits! Just as cute as ever! 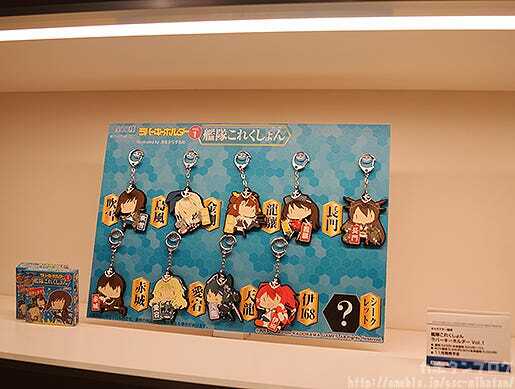 These items are only available until 21:00JST today!! Only about an hour left!! Orders for Phat’s Swamp Witch Metallica also end today!